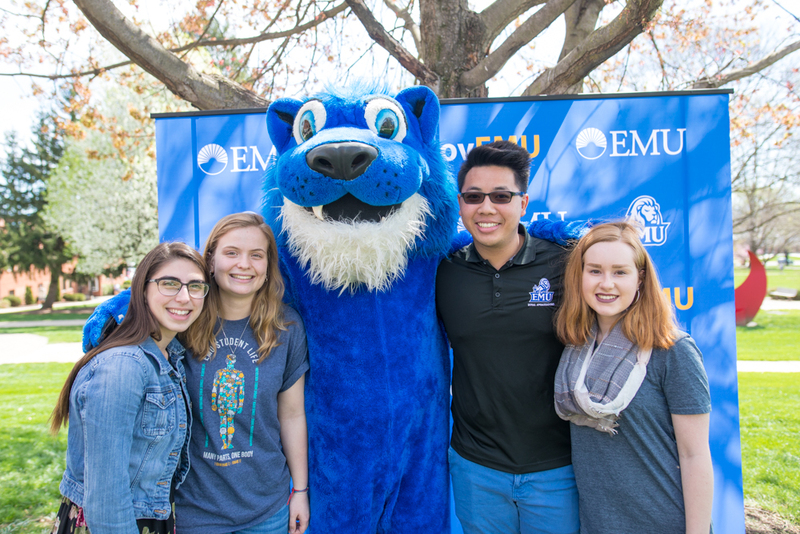 With a record-setting number of gifts on April 10’s LovEMU Giving Day, Eastern Mennonite University donors helped students access valuable courses, get to know caring professors, go on their cross-cultural and enjoy a transformative higher education experience. I love EMU because it has molded me into the person I am. EMU helps you grow as an entire person and embrace who God wants you to become. I love that I get to play basketball but still focus on academics and the future! I love the atmosphere of home, hospitality and care for everyone! 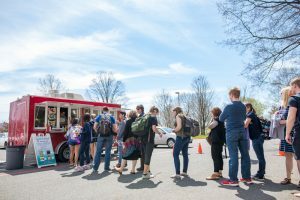 The taco truck outside the University Commons provided savory lunch treats to celebrate LOVEMU Day. The Alumni Challenge also logged 320 gifts to an anticipated total of 300. With each donation, donors were prompted to vote for an academic department, athletics program and student club. Top vote-earners were awarded $500. Winners were the education department, field hockey and the Black Student Union. Next year, look for the 50-state challenge to return. The $5,000 gift went unclaimed. Do you know someone (anyone!) in Wyoming, Nevada, North Dakota and Utah? We’re also looking for supporters of EMU in Alabama, New Hampshire and Rhode Island so that we can unlock the $5,000 challenge.